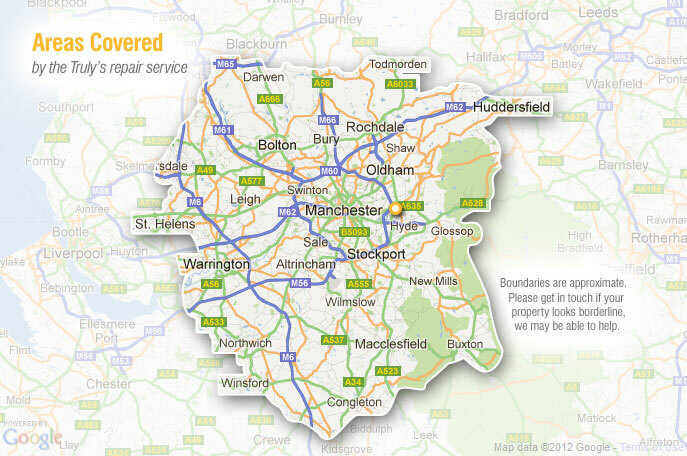 Truly Conservatory Repairs operates within a 35 mile radius of our base in Ashton-Under-Lyne, Greater Manchester. Cheshire Conservatory Repair and Cleaning. Many areas of Cheshire have benefited from our specialist conservatory cleaning and conservatory repairs, included resolving too hot/too cold situations and conservatory security. Merseyside Conservatory Repair and Cleaning. Truly specialise in providing customers with quality conservatory repairs and quality conservatory cleaning services. Truly have carried out such services, including finial and cresting repairs across Merseyside. Don’t worry if you appear just outside these boundaries, contact Truly as it’s quite possible that we will be able to help.